This is my chance to improve my stitching while writing about it, punctuated by song lyrics (can’t help myself, I think in lyrics too often to be normal) with an ever-changing soundtrack of bloody good music, with an occasional cake thrown in. Best keep leaping around/throwing a kettlebell/walking the dawg to offset this sedentary life then. 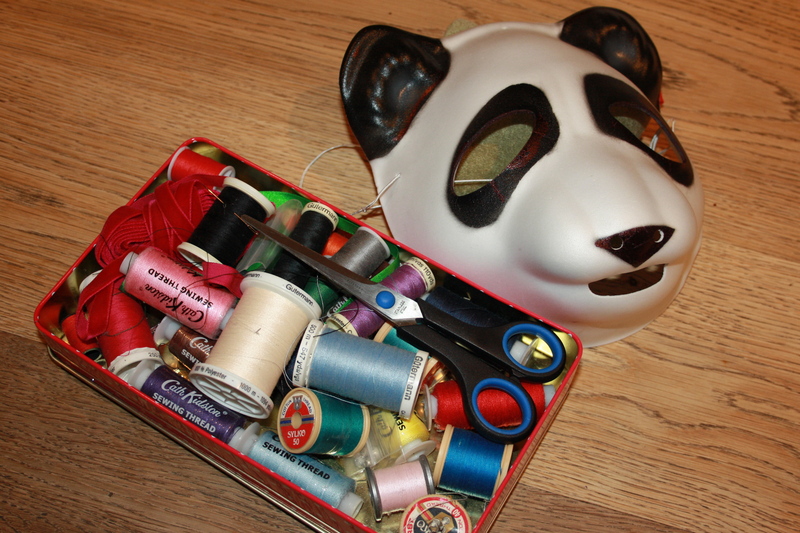 One last thing, I like to hide behind my panda mask; I would have preferred a badger face, but hey, whatever’s to hand. ‘Maybe see you later,’ the Panda sighs. Thank you for the reply. Looking forward to seeing your new Marianne!